Bright fashion highlights with contrast turned up to the max. 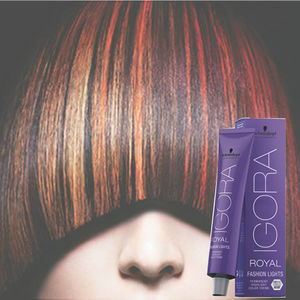 The Fashion Lights colour family consists of 8 gorgeous fashion shades designed to lift and colour in a single step. 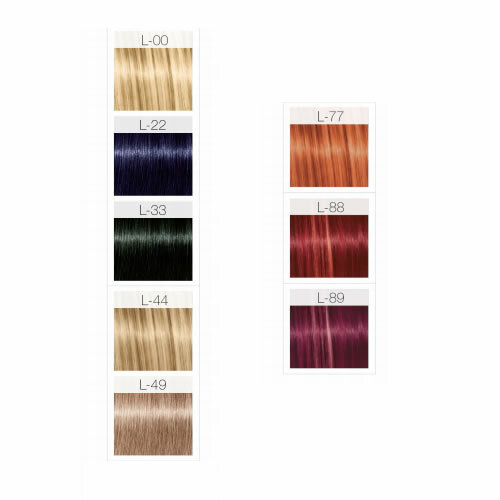 They deliver beautifully luminous results with incredible shine and dazzling brightness and are perfect for creating coloured strands or single fashion colours. Now improved with built-in Fibrebond technology to minimise hair breakage, each Fashion Lights shade can give up to 5 levels of lift and will deliver intense contrast even on a pre-coloured or dark base. However, you should only use them on a base 6 or darker. 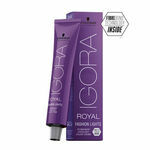 For best results, mix 1:1 with 12% (40 Vol) IGORA ROYAL Oil Developer and develop for 30–45 minutes. A few shades of old Fashion Lights without Fibrebond technology still available. Reduced to clear!